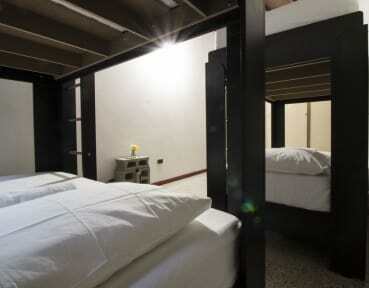 Casa Articulada Hostel and Artistic Residencies i Medellin, Colombia : Boka nu! We want to show all travelers a different city, the one that is not about drugs because we are trying to move on from it and we have such a beautiful places and people that we want you to know about. We also have a lot of cultural and artistic events such a workshops, conferences, concerts, artistic residencies and cool moments that we like to share with our guests! 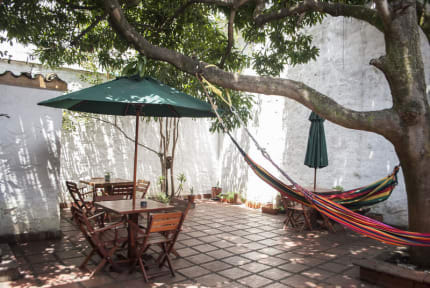 Casa Articulada is located in a lovely, quiet and very local area where you can find amazing coffee shops, bars and restaurants with traditional food and veggie options as well! We are close to the city center, and numerous art and culture spots. There are more than three supermarkets around, different stores and public transportation. The nearest shopping mall is around 15 minutes walking. Before or during your stay, please let our staff know if there is anything we can do to make your stay more enjoyable. Please check this map where you will find important spots around the hostel and also some tips to enjoy even more the surroundings. The owner, Daniela, was very friendly! But the room was very empty, just two beds, one upon the other, no table or chair. No hot water, no mirror in the bathroom. But as already said, the owner was very nice, caring and helpful! So, for the price it was ok for one night.